At Nimishillen Creek Dental, we are a small, neighborhood practice, but don’t let our size fool you: we use the latest technology to ensure that we are in step with modern dental techniques and – more importantly – to demystify dentistry for our patients. Our modern tools allow us to make good treatment decisions and to help you make sense of your options. 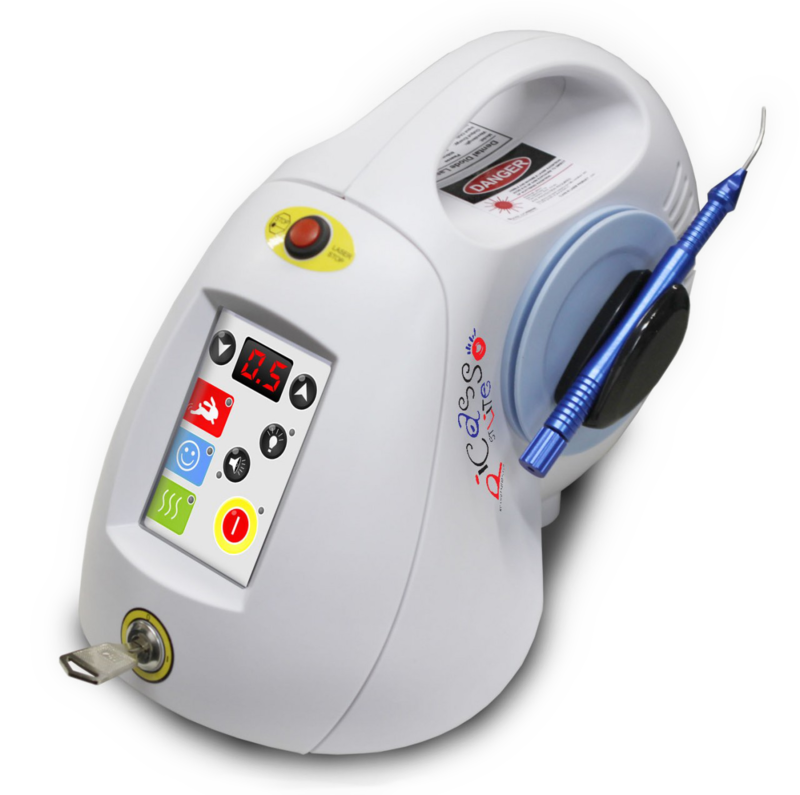 The diode laser represents the latest advance in laser technology. It is a surgical instrument that is reliable, portable, and powerful. It provides quick, precise soft–tissue surgeries with minimal or no bleeding, swelling, or post–operative pain. In many cases, it can be used to perform procedures without local anesthetic that would otherwise require an injection. 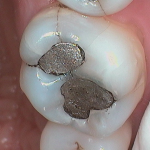 It has a broad range of applications, including tissue retraction during restorative treatment like fillings and crowns as well as other soft tissue procedures and bacterial decontamination. Its use enhances placement of contemporary materials and enables soft tissue corrections both for restorations and natural dentition. 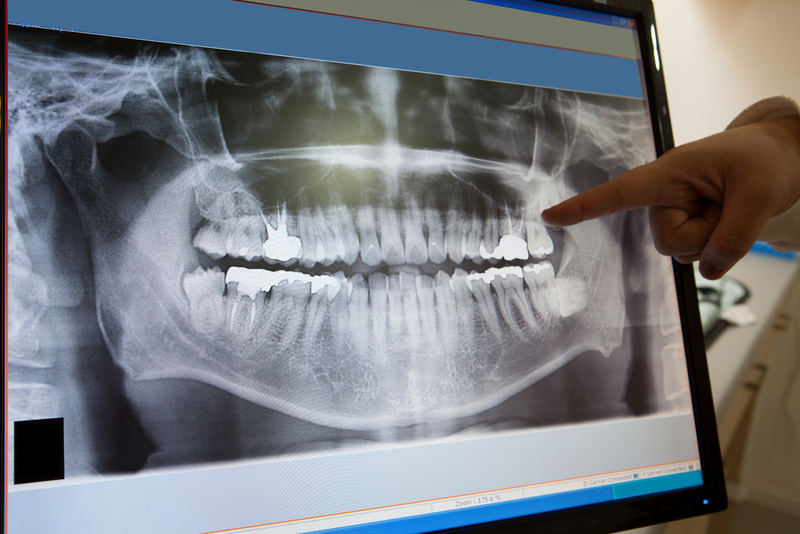 We use digital intraoral radiographs, rather than the older variety of film-type x-rays. Not only are digital radiographs safer because they require far less radiation than traditional x-ray film, they also provide superior diagnostic value: the doctor is often able to more clearly determine whether there are problems with your teeth, removing some of the guesswork of the past. In the mid-1990’s, Dr. Thomas performed some of the earliest research to evaluate the diagnostic quality of digital radiography in dentistry, and he has been an advocate of the technology ever since. Every treatment room at Nimishillen Creek Dental is equipped with a computer and dual monitors, so that we can share our radiographic findings on the monitor in front of you and help to answer your questions about treatment. Similar to digital radiographs, the intraoral camera is very useful for diagnosing dental problems like tooth cracks, failing fillings, and other conditions. It gives us a better view of hard-to-see spots in your mouth and it allows us to show you our findings on the screen in front of you, so that together we can make better-informed decisions about your treatment. The DIAGNOdent is a state-of-the-art device that is used to detect cavities that are hiding in places regular x-rays can’t find. 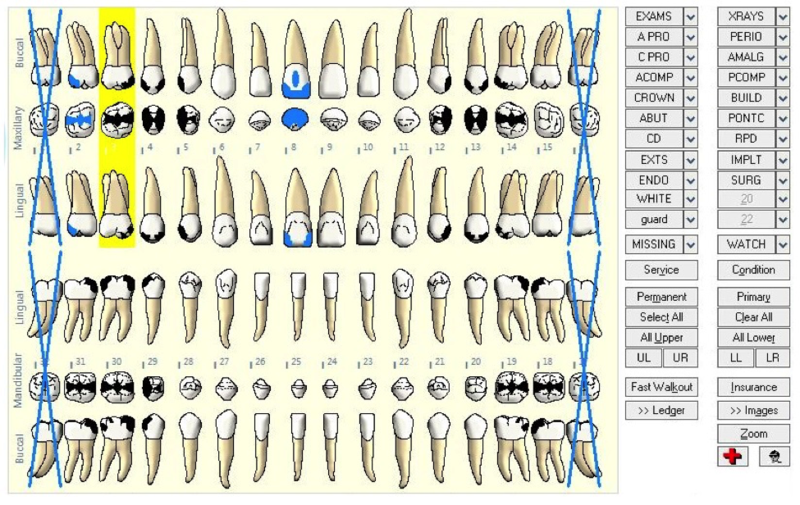 When in doubt as to whether a tooth has a cavity present in a difficult-to-visualize location, we use the DIAGNOdent as a kind of second opinion. It ensures that your mouth has been thoroughly checked for early signs of cavities to avoid you having to spend more in the future if the cavities progress and expand. In our efforts to move to move to more versatile, environmentally-friendly record keeping, we have transitioned to digital charting. That means that not only are we using far less paper in our practice, we also have more ready access to our records and better capabilities in terms of locating information about your past treatment. And of course, paperless charting can help us to better explain treatment needs.